Maharashtra put up a solid all-round performance to outclass Mumbai by seven wickets in the quarter-final match of the Vijay Hazare Trophy in New Delhi on Wednesday. New Delhi: Maharashtra put up a solid all-round performance to outclass Mumbai by seven wickets in the quarter-final match of the Vijay Hazare Trophy in New Delhi on Wednesday. 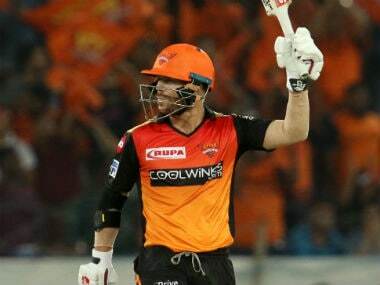 It was a thorough professional performance by Maharashtra as they first restricted a star-studded Mumbai batting line-up to a modest 222 for 9 in 50 overs and then surpassed the score in 46.5 overs losing only three wickets. It was a perfect example of team effort as there were no stand-out performers but a lot of them made useful contributions in team's victory. 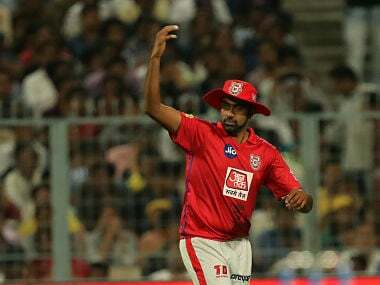 While right-arm seamer Pradeep Dadhe (3/57 in 10 overs) was the most successful bowler, it was the spin duo of debutant off-spinner Prashant Kore (2/34 in 10 overs) and left-arm spinner Satyajeet Bachhav (1/31 in 10 overs), who stifled the opposition batsmen in the middle-overs to set up the match for Maharashtra. 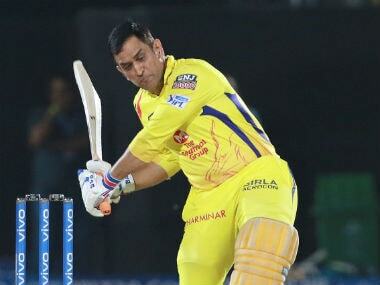 While chasing, the strategy to promote all-rounder Shrikant Mundhe (70, 95 balls) worked well as his 117-run stand for the second wicket with skipper Rahul Tripathi (49, 73 balls) proved to be important in the context of the match. While there was a mini-slump with both Mundhe and Tripathi departing at team score of 135, in-form Naushad Sheikh (51 not out) and Ankit Bawne (37 not out) added 89 runs for the unbroken fourth wicket stand to take the team home. 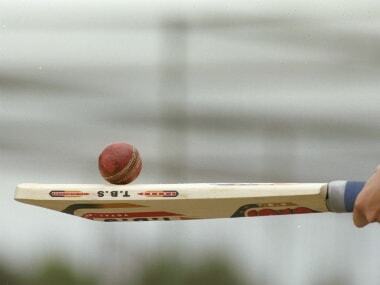 On a slowish track at the Air Force ground at Palam, Maharashtra batsmen curbed their natural instincts of playing strokes and a small total meant that there was not much pressure on them while chasing. Mundhe hit nine boundaries and a six while Tripathi had four boundaries and a maximum to his credit. Sheikh hit five boundaries while senior batsman Bawne was more intent rotating the strike with only a single four to his credit. However, a lot of credit must go to the bowlers, who did not let the Mumbai batsmen off their hooks. 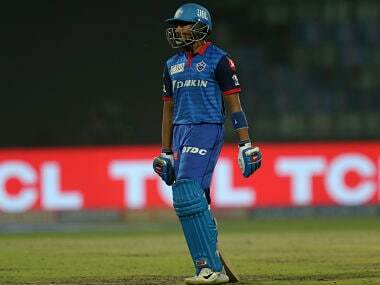 Teen sensation Prithvi Shaw (14) started with a couple of boundaries but soon edged one to Nikhil Naik off Dadhe. In-form Siddhesh Lad (5) was dismissed cheaply by the same bowler as he was bowled. Skipper Aditya Tare (16), promoting himself up the order, did not fire as he was cleaned up by Bachhav after he kept scratching around for runs close to an hour. 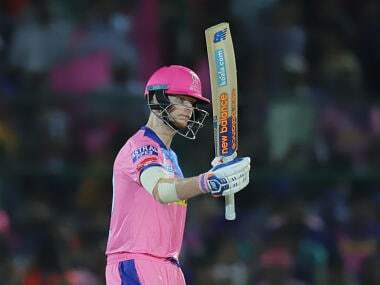 Two of Mumbai's better players -- Shreyas Iyer (35) and Suryakumar Yadav (69, 88 balls, 7x4) -- then conjured a 47-run stand for the fourth wicket but they took nearly 12 overs to score those runs. It was not easy to get away Kore and Bachhav on a slowish track. 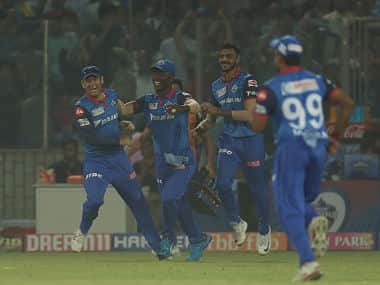 Yadav also shared 48 runs for the fifth wicket in 11.1 overs with Shams Mulani (22) but the Mumbai innings never had the momentum. Once Yadav offered a return catch to Kore in the 42nd over, Mumbai's chance of getting a respectable total was gone. 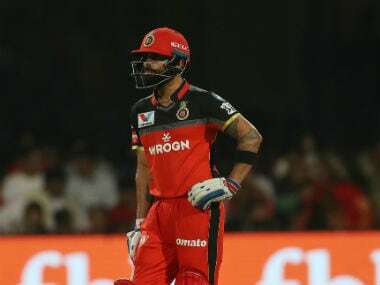 In the last eight overs, they could manage only 45 runs which proved crucial in the end. Maharashtra 224/3 in 46.5 overs (Shrikant Mundhe 70, Naushad Sheikh 51 not out, Rahul Tripathi 49). Maharashtra won by 7 wickets.